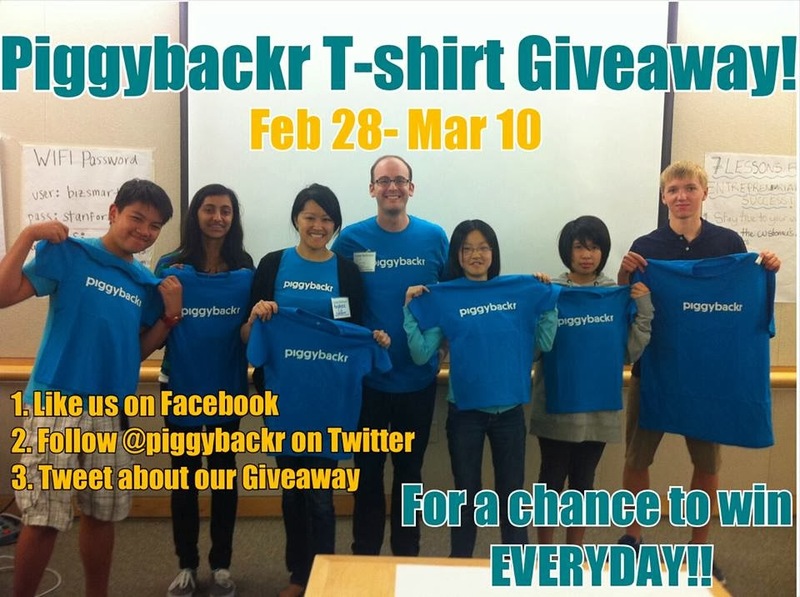 It’s time for another Piggybackr t-shirt giveaway! Enter to win by liking our Facebook page, following us on Twitter @Piggybackr, or tweeting about our giveaway for chances to win. You will have a chance to win everyday from February 28 to March 10th. Please visit our Facebook page or view this blog post to see a list of daily winners! Courtesy of Camp BizSmart, 2013. *Winners, please email support@piggybackr.com: Your full name, Mailing Address, and T-shirt Size. There is only one thing I have to share with you guys when you tend to use some of the online writing reviews, please do not rely on more offers on writing's because they do not have the ideal learning to deliver on you. I have bad experienced in this kind of circumstances before and it was a poor learning's. But, with my Smart custom writing review, I was able to learn a lot of things in writing's. This is a great blog to know about t shirt day. It will be really helpful for me. If you are looking for Custom T Shirt Malaysia , then visit Le’fonse. Crowdfunding can be a really interesting topic for an essay. I suggest you to check out this source https://writemyessay4me.org/blog/get-harvard as it has has prompts on how to write great papers.